It’s Time For A Wild Flower Hunt! Did you know that 70% of people surveyed in a recent YouGov Poll 1 said they would love to know more about local wildflowers? But more and more – or is that less and less – people are losing the connection with nature, and with it their knowledge of things like flowers. PlantLife have created a large-scale interactive guide to wild flowers, offering everyone the opportunity to have fun and boost our botanical knowledge at the same time. Aside from getting families spending time outdoors together, the guide aims to give its users confidence to identify the wildflowers that are growing in our urban parks, meadows, fields or woodlands. There are nearly 50 flowers to identify and hunters are able to filter photos by colour, mark off flowers spotted, and earn flower points which can be shared on social media via #WildflowerHunt. If you’re like me and don’t have signal out in the more ‘country’ areas of your neighbourhood, you can print off the guide to take out with you. There’s also a really cool fortune teller you can use to test your knowledge. The Plantlife Flower Hunt has two options – “around town” and “in the country”, so hopefully, everyone can take part! 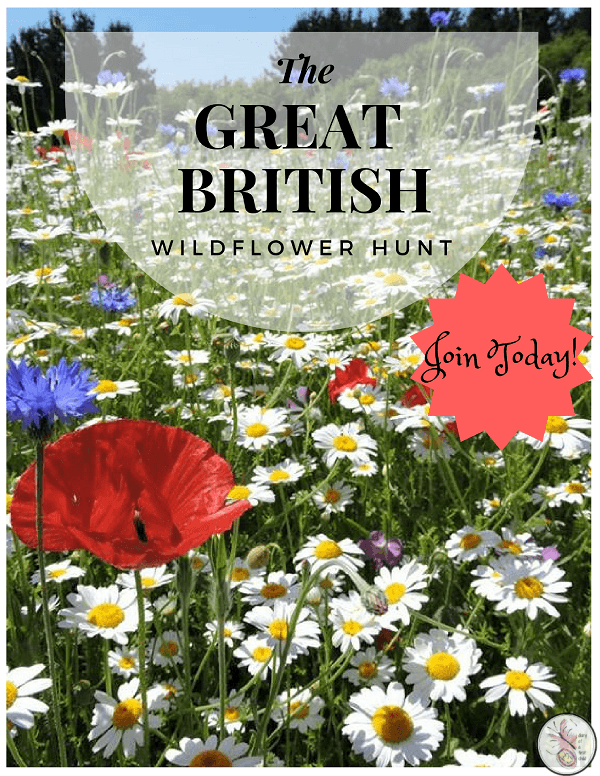 Sign up for the Great British flower hunt here. Happy hunting! Leave a comment below to let us know how many flowers you’ve found! I couldn’t agree more to what you said in this post. Flowers instantly give you a nice feeling.Hunting for these wild flowers are indeed an adventure! I love this post keep this up!